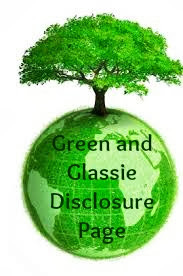 Green and Glassie: Barking Wednesday ~ Does your dog pull on his leash? Barking Wednesday ~ Does your dog pull on his leash? 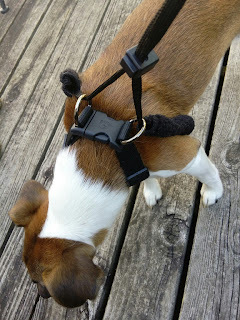 This week on Barking Wednesday I want to tell everyone about the Sporn Stop Pull Halter. I was having a heck of a time stopping Diesel from lunching on his leash. I was doing some research and found the Sporn Stop Pull Halter for Diesel on Amazon. The halter is designed to prevent dogs from pulling. It is a very simple concept. 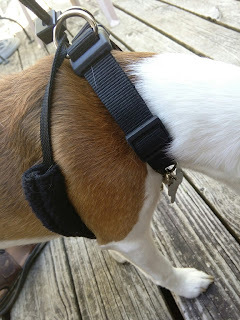 A main collar with two leads that connect at the center of the main collar and go under each leg attaching in the center under Diesel's neck. It took me a while to figure how to get the halter on him....but once I figured it out - it is very easy. 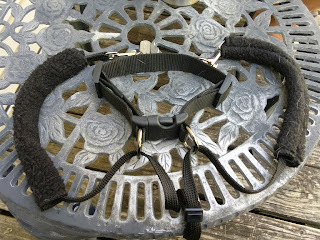 I was so surprised that the Sporn Stop Pull Halter worked. Shocked is more like it! Diesel immediately stopped pulling and tugging on his leash. If you have a dog that tugs on his leash - the Sporn Stop Pull Halter just might be the answer to your problem.....it sure cured Diesel. The nice part is that Diesel does not mind having the halter on - it must be comfortable for him. 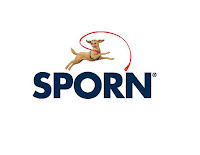 Stops Pulling Instantly!The original Sporn Halter® was invented by Joseph Sporn in 1992. Using only the highest quality materials, this halter is guaranteed to stop your dog from pulling. 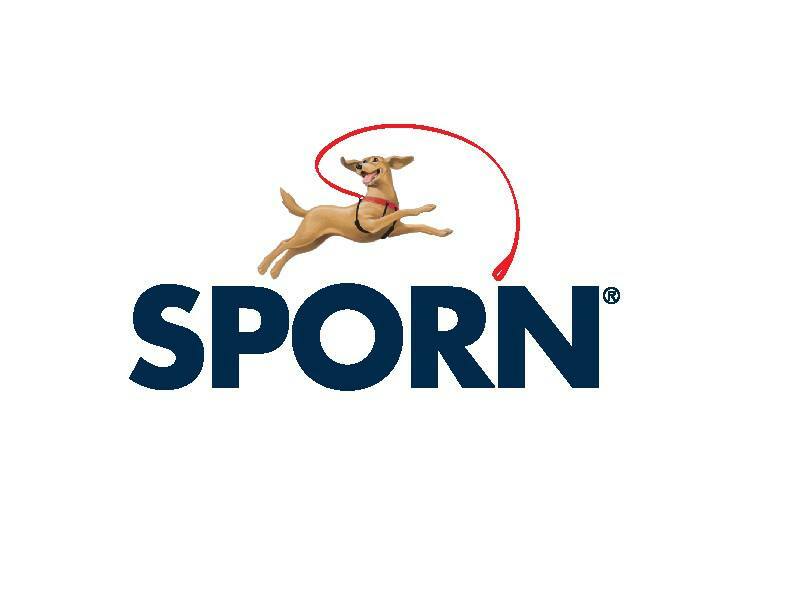 The Sporn Halter® is made of the highest quality braided cord and nylon webbing with thermoplastic and nickel-plated steel fasteners. The Restraints™ are threaded through the fabric Sherpa Sleeves™ for your dog's maximum comfort. Available in 4 sizes and is easily transformed to a standard collar. My dog is really well behaved on leash, but I still have a harness. I don't like the idea of him straining his neck. We've been talking about getting a dog, so I enjoy running across articles like this. I'll definitely be getting a harness for our guy. I've always preferred a harness over a leash. Dogs can be such dumb dumbs sometimes, they can really hurt themselves. My dog does and we ended up getting him a harness to keep him from choking himself. this looks like a great leash for dogs that have loads of energy and don't like to walk with their owners! I bought my husky something like this and it has been a life saver! It's a lot easier on me and I don't feel like she's being choked! We have a dog that is a leash puller. We will have to check this out. This could be really helpful, especially with very strong dogs. It's good to know it's optimized for comfort! My daughter has two dogs that are leash pullers. I am going to share this with her. I don't have dogs but my MIL who lives with us has pugs. I will have to tell her about this leash! I've always thought harnesses were better than traditional collars. I think it helps the dog not get choked in case it happens to pull suddenly. This sounds like a great leash. I don't have pets, but I will share this with friends and family that do. I am going to let our neighbor know about this, they just adopted a new dog and are really struggling with it. She even checked out 8 books on the breed from the library yesterday. We used to use harnesses when we had dogs too, I just never cared for leashes. I love anything that does not cause harm to the neck - I get so upset when people pull a dog. This looks like a great harness. One of my grandma's dogs was a leash puller. It was very hard to walk her too. This sounds great! I have seen some of the dogs in the neighbourhood wearing this! I have to say as a non dog owner I feel a lot more comfortable walking by a dog with this kind of leash than the other kind... I'm always fearful they are going to jump on me. Our two dogs pull on their leash so much that it almost chokes them! We've been looking into getting a harness for both of them! This looks like a great option for a dog who pulls a lot. We have cats but I know from walking friends dogs how powerful they are! This is a great idea. My dog is pretty good but my Grandpa's dog is another story! This would be perfect for my Sisters dogs. They are always pulling on their leashes. I will have to share this post with her. That looks like a great harness. 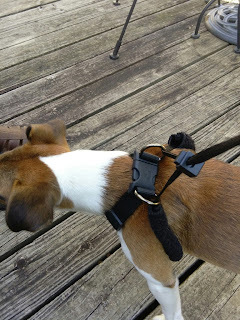 We have to use harnesses because our dogs are pugs and attaching a lease to a collar isn't safe. They are so eager to walk that they are definite pullers. Time to try this instead. We need this for our dog! She is the worst at pulling on her leash! This looks like a good invention. I needed something like this when we had our dog. Our dog was pulling us all over the place. I have to recommend this to my sister she had two dogs and I have only children.